It’s so sweet of you to think of me. I’m very, very touched. Perhaps when I had deep stresses like my parents’ deaths and my divorce – it helped to express my sadness through writing. But now I feel disconnected from my blog, which you as my dear friend picked up on. It’s because I’ve been quite depressed. I’m wrestling with the dark witch and trying to figure out what to do next. I feel like I can’t allow myself to be sad since I am free now and have so many blessings in my life. It’s because of my eye problem. I continue to do music, which definitely comforts me but most of the time I’m struggling with pain in my eyes. I am irritable and distracted by pain, so upset that I can’t seem to overcome this. I feel like my journey was about rediscovering joy and I feel like it’s hard to share my honest feelings. Love you, my dear friend. I think of you often. 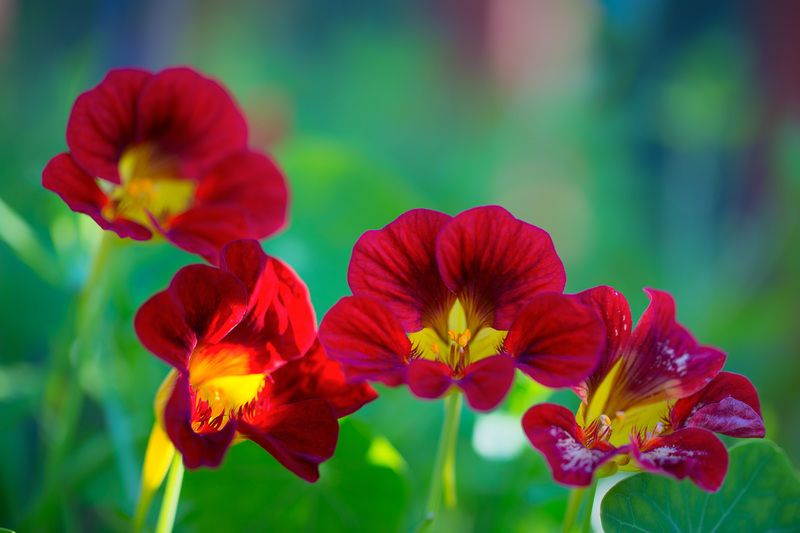 My good friend, Carol shared this beautiful photo with me. Springtime is here and I can feel the seasonal change. That also can lead to sadness. On the last part of this series, I was very hopeful about improvement in my condition because of drinking a lot of water and using eye gel at night. I decided to give serum tears a third try. I had a batch in my freezer and this time I would do something different. My friend, Judi was a leader of a dry eye support group and told me there was another method I could try where the serum tears wouldn’t be as irritating. I had my doctor look into this and she was willing to prescribe a steroid eye drop for me. Unfortunately, after one day my eyes began feeling foggy and painful. It felt like I was putting poison in my eyes – so I stopped. I was disappointed, but not like I was the first time because I didn’t have high expectations. Unfortunately, it took weeks before my eyes felt better and that was very tough. I try hard not to be affected by my struggles with eye pain. I want to keep looking for something that might help me. I decided to try an acupuncturist who was highly recommended by a good friend – at least that wouldn’t set me back like the steroid eye drops did. Her name was Veronica and she came to my house. I enjoyed talking with her as she worked on me. I asked her to take pictures and she did. After our first session, I went for a walk and marveled – it felt like my vision was clearer and I could open my eyes wider than usual. I was thrilled and planned to write about it. But then I caught a cold from my son and my eyes worsened. But I still was very hopeful that my eyes were improving. Veronica came for our second and third session with determination to help me. At our first appointment, she recommended that I try at least four sessions to give her a chance to make a difference. 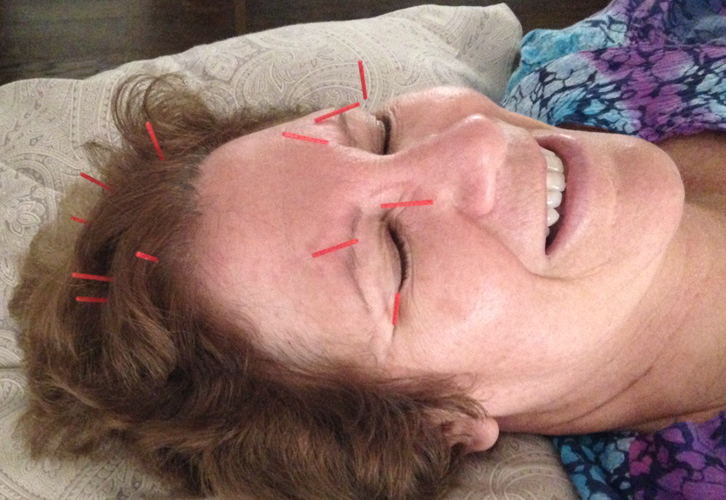 Each time she tried out different things and asked other instructors at the acupuncture institute where she worked for advice. 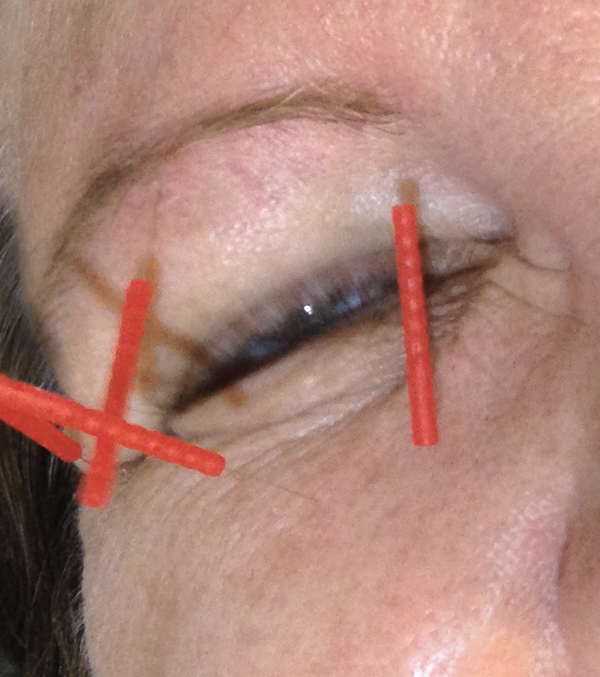 After our fourth session, my eyes were still very irritated. I was beginning to lose hope and didn’t know what to do next. I am so photogenic. I smile for pictures even with needles in me! Last week, a good friend sent me a text message encouraging me to see an eye specialist. 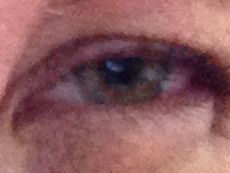 I have had many people recommending ophthalmologists to me. I don’t think they realize how daunting it is to see a specialist without insurance. I have an HMO and can only use their doctors; they have continually denied my requests for opinions outside of their network. If you read this doctor’s list of achievements, he appears to be an excellent scientist and diagnostician. 1. There was nothing that I should ever do to my eyes again (surgically). This feels daunting, at times – hopeless and expensive. I understand your wariness. 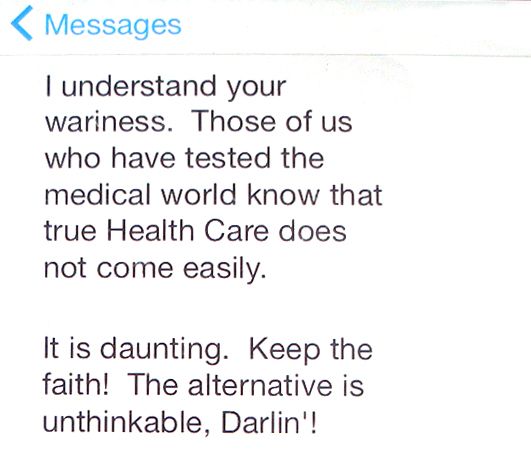 Those of us who have tested the medical world know that true Health Care does not come easily. Keep the faith! The alternative is unthinkable! I’d gladly spend money for relief but it’s all unknown. But I value your recommendation and promise to look into it. I’ve dealt with the unthinkable more times than I ever wanted to, sadly. If you see this doctor, be candid about your plight. Besides compassion, you might raise his scientific curiosity. 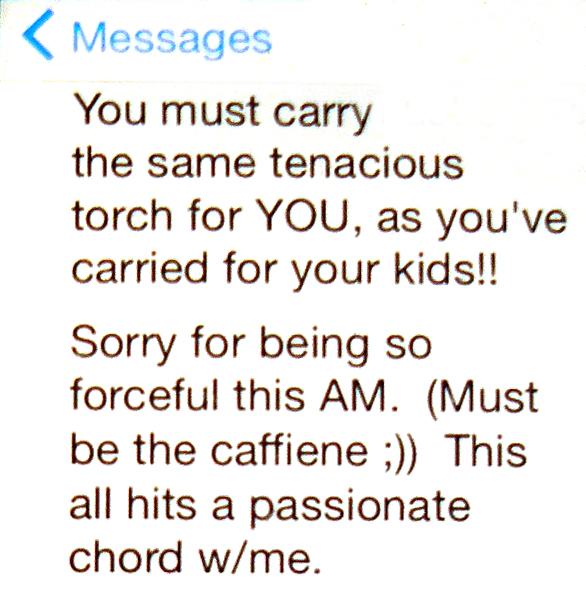 You must carry the same tenacious torch for YOU, as you’ve carried for your kids!! Sorry for being so forceful. This all hits a passionate chord with me. 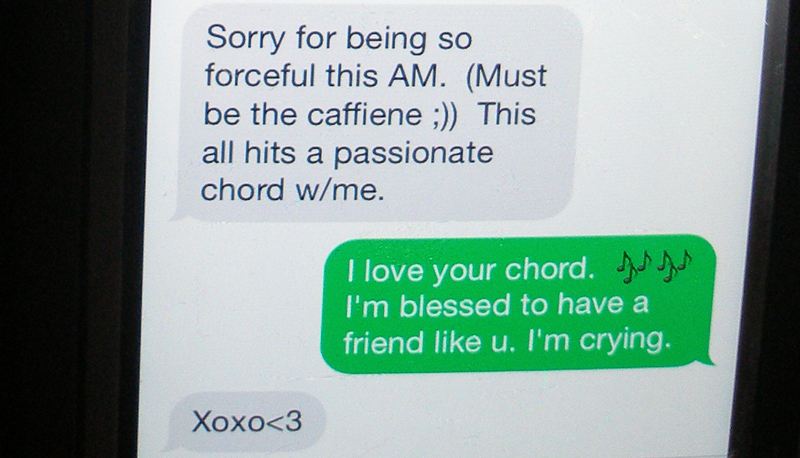 I love your chord. I’m blessed to have a friend like you. I’m crying. I wrote down the doctor’s number and it was next to my computer. My eyes were just awful and I began to think that perhaps I might consider this. But first, I had to overcome defensive and negative thoughts. Did my friend think I wasn’t taking care of myself? Was I not tenacious with this problem that had tortured me for three years now? I understood why I felt angry. Why would I trust any doctor? The very doctors that I trusted had literally dumped me with my eye problems. And I could go back further to the surgeon that operated on my son, who subsequently died. At the moment, I had a cornea doctor who was willing to prescribe the remedies I researched and requested, but so far nothing had helped me. I scheduled an appointment; it was two weeks away and I had ten pages of forms to fill out. I want to add some perspective to my feelings about hope so I’m sharing correspondence from the wonderful dry eye support group that I belong to on Facebook. These exchanges happened several months ago. My words are in black bold. My eye pain was horrible today at work. I could hardly open my eyes. I can’t cope anymore – I want to rip my eyes out. Mary, I wish I could hold a crystal ball for you and tell you this is temporary. I know you are in Hell. Please hang in there because one day you will be so glad you did. You will heal. It takes patience and a lot of self-love. Dig deep because you are worthy and have a lot to offer this world. Don’t let this disease win. Thank you, Judy. Now for the past three days, I’m feeling better. I am unable to figure out why. I don’t see any pattern, any change in my routine . . . This is really frustrating! Mary, I suggest trying to focus more on gratitude and appreciation rather than frustration. Mary, that’s wonderful news! So much of how I’m feeling surrounds the way I talk to myself. Enjoying it is great. My motto is – the more you look for something, the more chance you’re going to find it. That’s how I feel about my eyes. I keep looking when they hurt and know better days are always possible. That’s why I told you not to think about hurting yourself – TEMPORARY is something I tell myself a lot when I’m discouraged! Oh, and I also see you as very grateful. When I’m told to “feel grateful” that hurts. I know you are! Thank you, Judy, because I was hurt to be honest. I get so sick of dealing with this day after day after day!! I just want to be a normal person with everyday problems. Unfortunately, eye pain is impossible to overlook. I can push many types of pain aside, but when it’s in the sensitive part of my eyes – there’s no escape. I can say that my eyes have improved to a point where I can think about other things now. I cry tears of gratefulness for that but it’s far from what used to be normal for me. I pray it gets easier for you. Went to the emergency room. I don’t have an infection. The doc told me he couldn’t do anything for my eye pain. I just want to end my life. Mary, please don’t let this disease cause you to hurt yourself. Your life is very valuable. Pain can make us crazy, for sure. I’m a bereaved mom and I know if you ended your life – there would be a lot of pain for those who love you. It will get better. I promise. Judy, your message is so kind – I’m crying right now. Thank you. It is a relief to talk with people who understand what I am going through, thank you so much! Tears are good, Mary. You are not alone with your pain. You will find relief and until then – please do not despair. It is in this valley of sorrow where you will discover things that you will carry for the rest of your life. It is an opportunity to let go of what we expect from life. I think this is a turning point for you. It’s okay to express your anguish. You are going to beat this. I know you will. 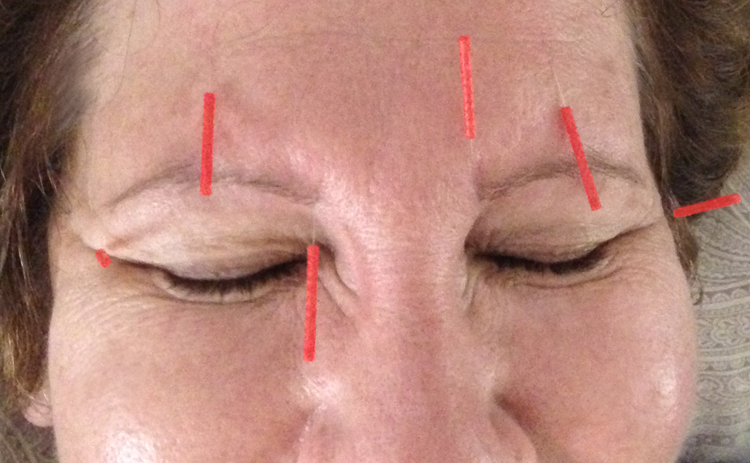 This entry was posted in Uncategorized and tagged acupuncture, acupuncture for eye pain, acupuncturist, Autologous serum eye drops, autologous serum tears, benefits of drinking water, cataract surgery, cataract surgery complications, coping with PVD, dealing with pvd, discouraged, discouraged about healing, dry eye, dry eye disease, dry eye regimen, dry eye support, dry eye syndrome, dry eyes, dry eyes and acupuncture, eye discomfort, eye issues, eye pain, eye problems, eyesight adjustment, eyesight issues, finding a cure, foggy vision, Friendship, having hope, healing and grief, healing from grief, holding on to hope, hope, hope for healing, hope of healing, hopeful and optimistic, inspiration, Judy Unger, Living with dry eyes, living with PVD, maintaining hope, optimism, optimism after loss, Posterior Vitreous Detachment, PVD, remedy for dry eyes, serum eye drops, serum tears, severe myopia and cataract surgery, staying hopeful, staying positive. Bookmark the permalink. I have been thinking about your eyes a lot so it it great to get this information from you and to know it is okay if I mention the problem. I feel so helpless to comfort you and I am so sorry I didn’t intuit that you were suffering (you always sound so positive!) 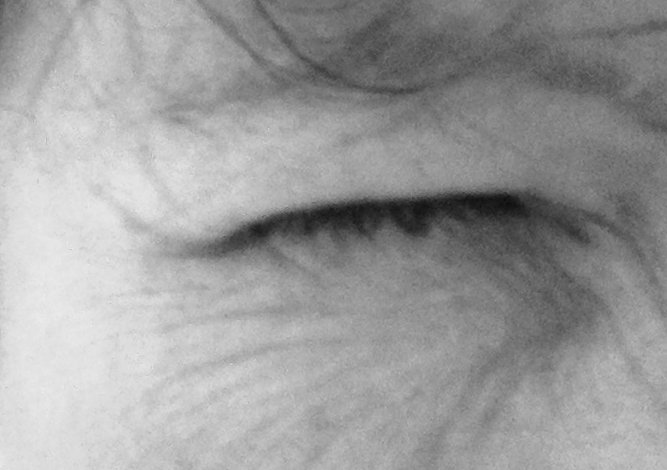 My mother and a very close friend are both suffering eye ailments and it is a scary thing. Loveya Judy! Thank you for thinking of me, Julie. I was wondering the same thing about you with your hands? Is it a chronic condition or has it vanished? I pray it’s not something like I have, where stress just has it flaring up again. Sorry to hear about your mom, her friend and their eye problems. It can be scary and painful. Love you, too. judy i am so relieved that you are open to your friends suggestion! it was a while back but i made some recommendation and was met with a rather frosty response. i felt terrible for upsetting you and decided to never try that again. i would hope this blog could be a place where you share your true feelings. this is a safe place where you are loved and cared for. Oh, Sandra, as always I appreciate your support. The only thing I must say is that I am sorry for any frostiness you encountered. That is not how I would want to be perceived because I always appreciate your advice and caring. I’m just sometimes overwhelmed and overcome by PSTD. Nothing you have ever said has upset me – ever. See, I wish you told me back then that you felt terrible so I could have reassured you that you hadn’t. I’ve never met someone as loving as you! Yes, holding back isn’t really the best thing. So my heart is open to yours and I will continue to share. You set a high bar with your ability to overcome pain and I wish I were as capable sometimes.